The first race of the year for many across the SW, second or third for others. As we start to roll through March, the early season time trials continue to come. 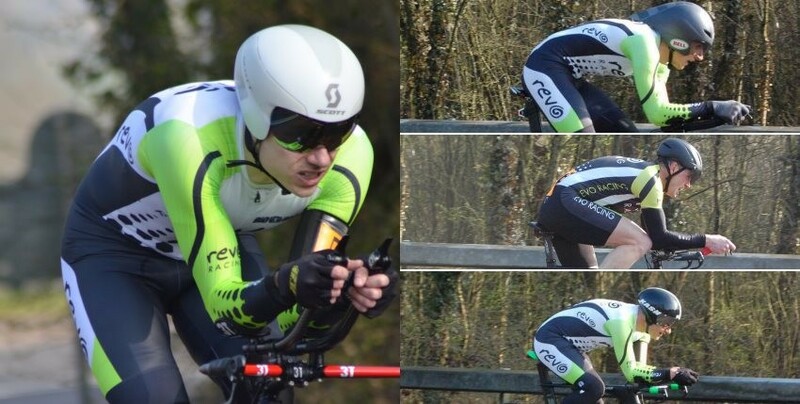 Today it was the 10 mile TT put on by CS Dynamo on the S26R/10 in East Devon. Today’s race was also the first in the Devon Cup Series, so some early season points up for grabs. Considering it’s still very much early season, the event was well supported with a total of 58 Riders, four of which were representing Revo Racing. Fortunately it was a lovely morning in East Devon with blue skies – a little cold to start, but it soon warmed up. A little bit of wind made the outward leg tough work for most before being rewarded with a tailwind on the return. All four riders from Revo Racing put in a gutsy performance and all recording personal course records. Photos courtesy of Ann Owens. Copyright 2016 Revo Racing. All Rights Reserved.